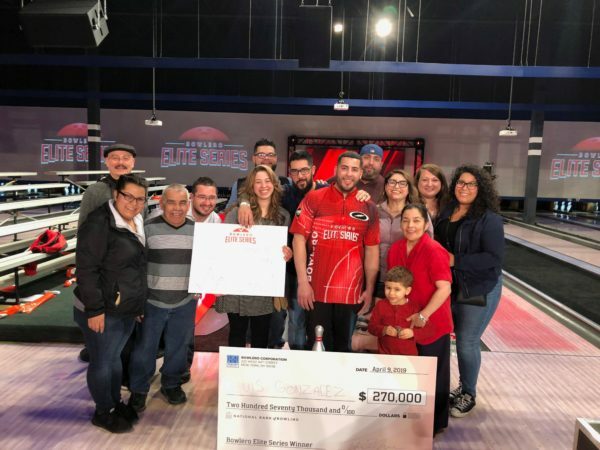 The first event of the Bowlero Elite Series aired Tuesday, April 9, where eight pros faced eight Bowlero League Bowlers for more than $500,000 in prizes. In the final match Team Storm PBA player, Kyle Troup, faced amateur, Luis Gonzalez, who recently joined our Storm Staff. In a close title match, Gonzalez defeated Troup 237 – 226 to take home the title and $270,000. Though his father who got him into the sport has passed away, he has truly honored his father’s legacy by introducing the sport to his son and continuing to compete. 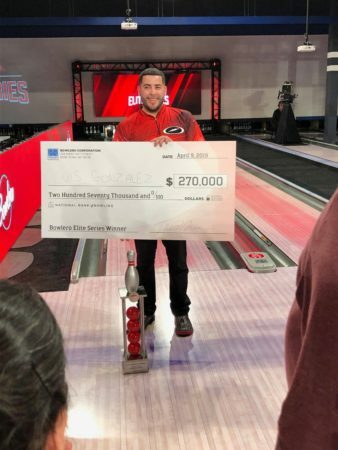 Gonzalez will be celebrating this win for a while, but he has a busy spring schedule on the lanes. He has some local tournaments over the next few weekends including the Illinois Masters. In addition, he’ll be traveling to Las Vegas to bowl the Open Championship this summer. Is there any video footage of the tournament?